Against the best interest of my breathing and health, today I took my tie to lunch at Duggan’s on Woodward and got a Big Chief Burger, which Detroiters know is a big, double patty burger with an amazing mayo, relish, and curry sauce. It’s legendary and I went with some guys from the office. 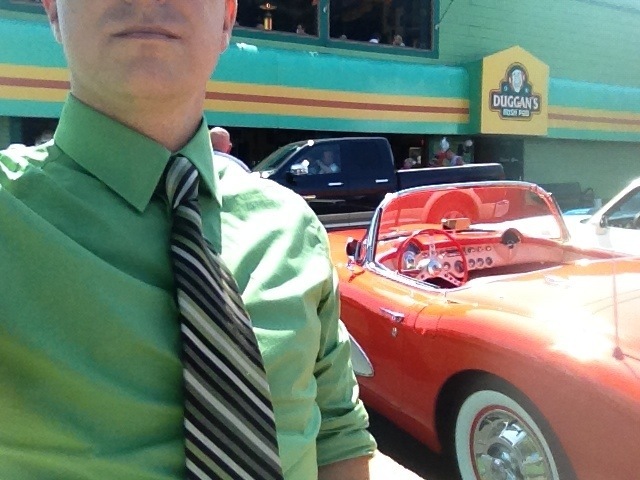 So in the background you can see Duggan’s and a Corvette from the 50s. My Uncles can probably tell me the year just by looking at the mirror placement or some dash board knob. That’s always impressed me. My shirt and tie are both from Express. The shirt is olive colored …pretty crazy, I know. The tie has olive, mocha, light cream, and this, like, green-grey stripe. This shirt-tie combo was not bought together, but was a happy surprise when I realized this tie had so much versatility in my closet. Oh, and for Martha …I’m in a great mood. 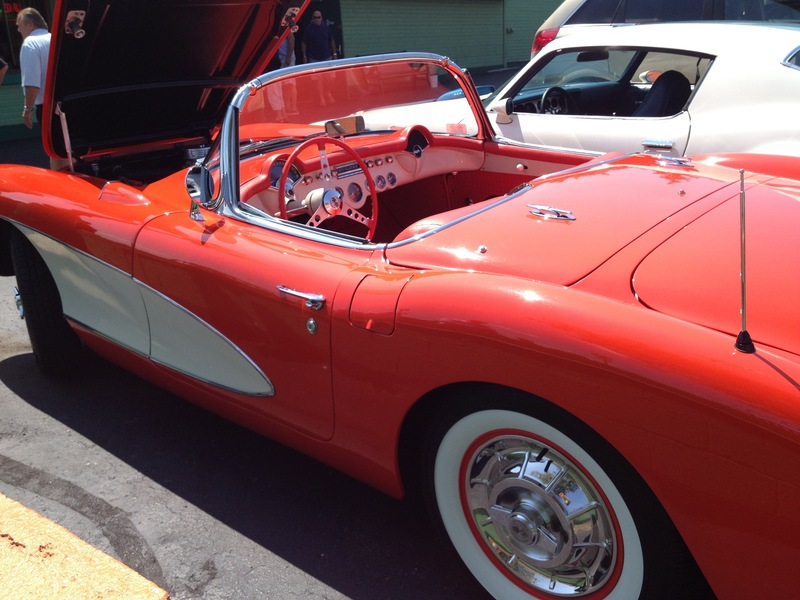 It’s 80 degrees, it’s sunny outside with zero humidity, I had lunch with friends and lunch included a legendary Detroit burger …and there are cool cars everywhere. How could I not be in a great mood.